Dolly, 800x600 with 2 swivel and 2 fixed castors- view the range at utzgroup.com | George Utz Ltd. 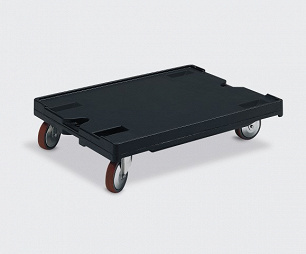 This dolly with the dimensions 800x600x200 is the ideal solution for transporting heavy loads. Suitable for carrying one 800x600 container, two 600x400 containers or four 400x300 containers.